1. What is Form GSTR-9? Form GSTR-9 is an annual return to be filed once, for each financial year, by the registered taxpayers who were regular taxpayers, including SEZ units and SEZ developers. The taxpayers are required to furnish details of purchases, sales, input tax credit or refund claimed or demand created etc in this return. In the Annual Return for F.Y 2017-18, the details pertaining to the period from July 2017 to March 2018 are to be reported. In case, the taxpayer is registered after 1st July 2017, in such case, details for the period from the effective date of registration till 31st March, 2018 is to be provided in Annual Return. 2. Who need to file Annual Return in Form GSTR-9? Form GSTR-9 is to be filed by a person who is registered as a normal taxpayer, including SEZ unit or SEZ developer and the taxpayers who have withdrawn from the composition scheme to normal taxpayer any time during the year. Composition taxpayers are required to file Annual Return in Form GSTR-9A. Annual Return is not required to be filed by casual taxpayer / Non Resident taxpayer / ISD. 3. What is the difference between Form GSTR-9 and Form GSTR-9C? Form GSTR-9 is required to be filed by every person registered as normal taxpayer irrespective of their turnover. Form GSTR-9C is required to be filed by every registered person whose turnover has been more than Rs. 2 crores during the financial year. Such taxpayers are required to get their accounts audited by Chartered Accountant or Cost Accountant and need to submit a copy of audited annual accounts and reconciliation statement as specified under section 44(2) of CGST Act. 4. Is it mandatory to file Form GSTR-9? Yes, it’s mandatory to file Form GSTR-9 for normal taxpayers. 5. I am a regular/ normal taxpayer for part period and composition taxpayer for part period during the financial year. Do I need to file Form GSTR-9 or Form GSTR-9A? You are required to file both Form GSTR-9 and Form GSTR-9A for the respective period. The period during which the taxpayer remained as composition taxpayer, Form GSTR-9A is required to be filed. And, for period for which the taxpayer is registered as normal taxpayer, Form GSTR-9 is required to be filed. For example: If the taxpayer had opted for Composition scheme from 1st July 2017 to 31st Dec 2017, then Form GSTR-9A is required to be filed for such period. And, if the taxpayer had opted out of composition scheme and registered as a normal taxpayer during period say 1st Jan 2018 to 31st Mar 2018, then for such period Form GSTR-9 is required to be filed. Both Form GSTR-9 and Form GSTR-9A for the respective period are required to be filed for FY 2017-18, in such cases. 6. I got my registration cancelled in the financial year. Can I file Form GSTR-9? Yes, the annual return needs to be filed even if the taxpayer has got his registration cancelled during the said financial year. 7. I have opted for composition scheme in the financial year. Do I need to file Form GSTR-9? Taxpayers who have opted for the composition scheme need to file Form GSTR-9 for the period during which they were registered as a normal taxpayer. 8. I opted out of composition scheme in the financial year. Do I need to file Form GSTR-9? Taxpayer who have opted out from the composition scheme during the relevant financial year is required to file Form GSTR-9 for the period they paid the tax at normal rates. 9. What are the pre-conditions for filing Form GSTR-9? Taxpayer must have active GSTIN during the relevant financial year as a normal/regular taxpayer even for a single day. 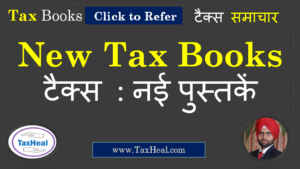 Taxpayer has filed all applicable returns i.e. Form GSTR-1 and Form GSTR-3B of the relevant financial year before filing the Annual Return. 10. Can I file nil Form GSTR-9? There is no late fee to be paid etc. 11. From where can I as a taxpayer file Form GSTR-9? Navigate to Services > Returns > Annual Return to file Form GSTR-9. 12. Is there any Offline Tool for filing Form GSTR-9? Currently, Form GSTR-9 return can be filed through online mode only. However, offline tool for Form GSTR-9 will be released shortly. 13. By when do I need to file Form GSTR-9? The due date for filing Form GSTR-9 for a particular financial year is 31st December of subsequent financial year or as extended by Government through notification from time to time. 14. Can the date of filing of Form GSTR-9 be extended? Yes, date of filing of Form GSTR-9 can be extended by Government through notification. 15. Form GSTR-9 return is required to be filed at entity level or GSTIN level? Form GSTR-9 return is required to be filed at GSTIN level i.e. for each registration. If taxpayer has obtained multiple GST registrations, under the same PAN, whether in the same State or different States, he/she is required to file annual return for each registrations separately, where the GSTIN was registered as a normal taxpayer for some time during the financial year or for the whole of the financial year. 16. I have not filed all my applicable return(s)/ statement(s) during the financial year. Still, can I file Annual return without filing of those applicable return(s)/ statement(s)? No. You cannot file return in Form GSTR-9 without filing Form GSTR-1 and Form GSTR-3B for all applicable periods during the relevant financial year. 17. In which tables of Form GSTR-9, the details are required to be provided? 18. Do I need to provide/ update details in all the tables in Form GSTR-9 before filing? You are required to provide/ update details only in those tables which are relevant to your business. 19. Which tables in Form GSTR-9 has auto-populated data from filed Form GSTR-1 and Form GSTR-3B? 20. Which table in Form GSTR-9 has auto-populated data from Form GSTR-2A? 21. Can I edit auto-populated data from filed Form GSTR-1 and GSTR-3B in Form GSTR-9? 22. Can I download system computed values of Form GSTR-9? Yes, taxpayer can download the system computed values for Form GSTR-9 in PDF format. This will help the taxpayer to use it for reference while filling Form GSTR-9. 23. Will consolidated summary of Form GSTR-1 be made available for the returns filed during the financial year? Yes. Consolidated summary of all filed Form GSTR-1 statement for the relevant financial year is available for download in PDF format. Navigate to Services > Returns > Annual Return > Form GSTR-9 (PREPARE ONLINE) > DOWNLOAD GSTR-1 SUMMARY (PDF) option. 24. Will consolidated summary of Form GSTR-3B be made available for the returns filed during the financial year? Yes. Consolidated summary of all returns filed in Form GSTR-3B for the relevant financial year is available for download in PDF format. Navigate to Services > Returns > Annual Return > Form GSTR-9 (PREPARE ONLINE) > DOWNLOAD GSTR-3B SUMMARY (PDF) option. 25. Can I change the details after clicking on ‘Proceed to File” button? Yes. You can change/edit the details before filing of Form GSTR-9 return. However, the auto-populated data will not be editable in the following fields. • Table no. 8A: ITC as per Form GSTR-2A (Table 3 & 5 thereof). 26. What happens after COMPUTE LIABILITIES button is clicked? After COMPUTE LIABILITIES button is clicked, details provided in various tables are processed on the GST Portal at the back end and Late fee liabilities, if any, are computed. Late fee is calculated, if there is delay in filing of annual return beyond due date. 27. Is there any late fee for late filing of Form GSTR-9? Yes, there is a late fee for filing of Form GSTR-9 beyond the due date. 28. When “Late fee payable and paid” tile in Form GSTR-9 gets enabled? Once the status of Form GSTR-9 is Ready to File and liabilities are calculated, 19. Late fee payable and paid tile gets enabled for filing of Form GSTR-9 by the taxpayer. 29. Can I file Form GSTR-9 return without paying late fee (if applicable)? No. You can’t file Form GSTR-9 without payment of late fee for Form GSTR-9, if same is filed after the due date. 30. Is there any option to make payment other than late fee (if applicable) in Form GSTR-9? After filing of your return in Form GSTR-9, you will get a link to navigate to Form GST DRC-03 to pay tax, if any. Any additional payment can be made using Form GST DRC-3 functionality only through utilisation from Electronic Cash Ledger. 31. In Form GSTR-9, can additional liability not reported earlier in Form GSTR-3B be declared? Yes, additional liability not reported earlier at the time of filing Form GSTR-3B can be declared in Form GSTR-9. The additional liability so declared in Form GSTR-3B are required to be paid through Form GST DRC-03. 32. Can I claim or report any unclaimed ITC through Annual Return? No. You cannot claim ITC through Form GSTR-9. 33. What do I need to do if available cash balance in Electronic Cash Ledger is less than the amount required to offset the liabilities? Available cash balance as on date in Electronic Cash Ledger is shown to the taxpayer in “Cash Ledger Balance” table. If available cash balance in Electronic Cash Ledger is less than the amount required to offset the liabilities, then additional cash required to be paid by taxpayer is shown in the “Additional Cash Required” column. You may create challan for the additional cash directly by clicking on the CREATE CHALLAN button. 34. What are the modes of signing Form GSTR-9? You can file Form GSTR-9 using DSC or EVC. Digital Signature Certificates (DSC) are the digital equivalent (that is electronic format) of physical or paper certificates. A digital certificate can be presented electronically to prove one’s identity, to access information or services on the Internet or to sign certain documents digitally. In India, DSC are issued by authorized Certifying Authorities. The GST Portal accepts only PAN based Class II and III DSC. The Electronic Verification Code (EVC) authenticates the identity of the user at the GST Portal by generating an OTP. The OTP is sent to the mobile phone number of the registered mobile phone of Authorized Signatory filled in part A of the Registration Application. 35. I am getting a warning message that records are under processing or processed with error while filing Form GSTR-9. What do I do? In case, records (or data as submitted while filing Form GSTR-9) are processed with error or are under processing at the back end, a warning message is displayed. If records are still under processing, wait for processing to be completed at the back end. For records which are processed with error, go back to Form GSTR-9 and take action on those records for making corrections. 36. Can I preview Form GSTR-9 before filing? Yes, you can view/download the preview of Form GSTR-9 in PDF and Excel format by clicking on ‘PREVIEW DRAFT GSTR-9 (PDF)’ and ‘PREVIEW DRAFT GSTR-9 (EXCEL)’ button before filing Form GSTR-9 on the GST Portal. 37. Can I revise Form GSTR-9 return after filing? No, you cannot revise Form GSTR-9 return after filing. 38. What happens after Form GSTR-9 is filed? ARN is generated on successful filing of the return in Form GSTR-9. An SMS and an email is sent to the taxpayer on his registered mobile and email id. Electronic Cash ledger and Electronic Liability Register Part-I will get updated on successful set-off of liabilities (Late fee only). Filed form GSTR-9 will be available for view/download in PDF and Excel format.